The Babolat tennis racquet has a rich history dating back to the very beginnings of tennis as a sport. Following the creation of tennis as a recreational game in 1874, Pierre Babolat was the first to use natural gut to string the racquet. International expansion followed in 1950, with US Open winner Arthur Ashe using Babolat gut during his winning match putting the brand on the map. In 1994, the company launched its first tennis racquets, and the rest is history. The best Babolat racquet is a matter of both taste and requirements. 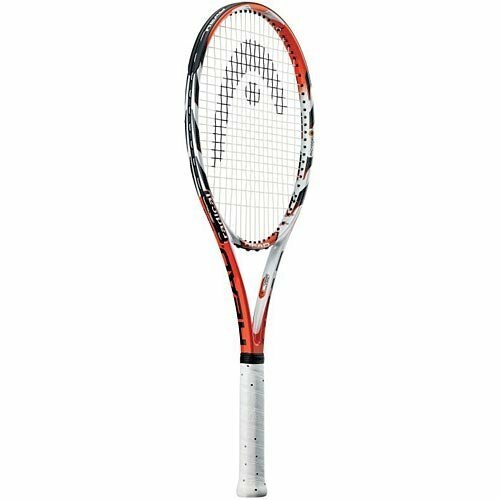 Our BabolatPure Drive review covers this exciting racquet that delivers considerable power to a player who wishes to command it. 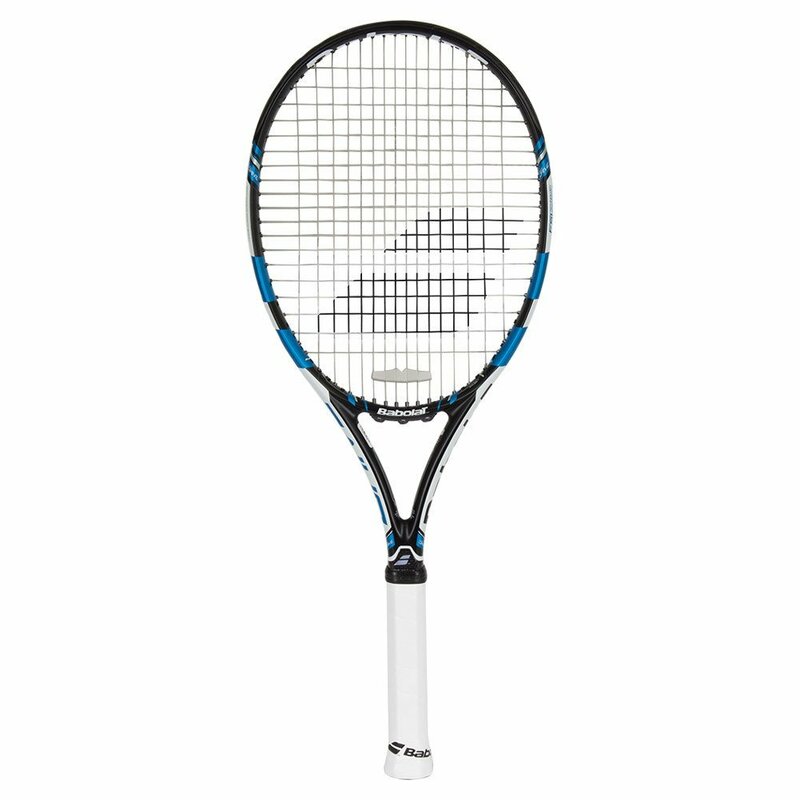 However, for younger players in the 10-12 age range, the Babolat Pure Aero Junior 26 racquet we review later is an interesting one to suit pre-teens who are interested in the game. As one can tell, a powerful tennis racquet doesn’t need to conform to a certain size or age range suitability to be powerful.Here are three interesting Babolat tennis rackets to consider for your next visit to the courts. The Babolat AeroPro Drive GT 2013-2015 Tennis Racquet (Nadal)is a Rafael Nadal’s approved product. The product incorporates the use of Cortex Dampening to lend more feel like the racquet as an extension of the arm.The AeroPro Drive is a key racquet to keep in the bag as one that is excellent both way back at the baseline and when up at the net catching fast-moving volleys. Few tennis racquets perform equally well under both circumstances, but this one certainly does. Therefore, for players who are just as comfortable at the net as they are elsewhere on the court, the Drive GT is a useful addition to their tennis arsenal. The benefit of the GT technologies is improved control once the ball strikes the racquet or strings at speed. Reduced reverberation limits any negative effect on return follow through arm movements for a better play against big striking opponents.The weight, when strung, is around 11.3 ounces which place this racquet in the middle of adult racquet weight levels while being comfortably below the 12-ounce weight that creates problems for some players who prefer something lighter. The BabolatSyntec grip is both comfortable and durable for multi-hour play across several sets of a match. The design, especially the graphics, on the AeroPro Drive product is current as of 2013. Serious-looking, distinctive, with a dash of canary-yellow colored branding, added for good measure.The Drive is a good all rounder for different play with both power and precision shots against different opponents on clay or grass courts. Either as a single racquet solution or as part of a collection of tennis racquets, this Racquet hits the mark. 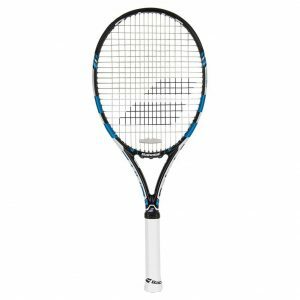 The Babolat 2015 Pure Drive Tennis Racquet is a modern release intended to better handle the faster pace of courts, quicker ball response, and greater dexterity of players.The Babolat Pure Drive racquet improves upon previous sweet spots by making this one larger and higher for improved shots even when connecting away from the center. This aspect will certainly please unsure, inexperienced and out of practice returning players who need a racquet that’s a little bit forgiving of their mistakes. Better frame string technology is employed here. The frame thickness and its elliptical appearance resist torque and minimize the amount of flex which would otherwise affect how the returning shot is received. 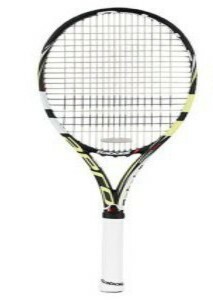 The Cortex Dampening technology which came in 2012 also helps to transmit the feel of the racquet to the hands which provide players with better control over their sporting outcomes on the court.The 10.6-ounce weight of this racquet is on the lighter side of a pro style racquet for adult players. It is ideal for tennis enthusiasts who find the 11 and 12-ounce racquets too much racquet to handle single-handed but who don’t wish to give up either control or power in the process of trading down to something lighter. This tennis racquet Babolat-style with classic blue and black coloring maintains the history of the Pure Drive product line. The white color was introduced in the 2015 model for the first time to provide a contrast on the long handle.With this Tennis Racquet, Babolat Play is included. The app allows coaches and players to understand better their swing and overall game performance making continual improvement possible. Avoid becoming stagnant in your game play and advance further. The Babolat Pure Aero Junior 26 in its 2016 AeroPro Junior version is a pre-strung tennis racquet that delivers the adult experience in a smaller size. The Pure Aero playing experience is not lost to a younger player with this Junior 26 version which provides pleasing performance for 10-12-year-old younger players.The Pure Aero range is endorsed by none other than Rafael Nadal, so one knows that it’s a solid choice. Many of the same features present in the adult version are also evident here too. The 9.2-ounce weight is light enough for younger players to handle with ease. The lightness is achieved by using a 100% graphite technology to keep the weight down. The black and yellow stripes make this racquet stand out from the crown. An attractive black over-the-shoulder case, with shoulder strap included, completes the look. Subtle, but noticeable.The frame is pre-strung to avoid youngsters having to deal with how to add strings before trying to their Junior 26 on the court. The purchase is a single option that avoids any fuss with handle padding, strings or needing to get a racquet strung before use which makes it an ideal gift for a young boy or girl. Babolat tennis racquets come in all types and versions suitable for adult and junior players, experienced and novice alike. While their manufacturing only dates to the 1970s with their racquets; the latest manufacturing technologies are employed in their products to deliver a dependable performance on the court.One of the standout aspects of the Babolat range is that many of their racquets are lighter. This reality opens their use to more people who find that many racquets are heavier in their hand than they’re comfortable with and get put off playing their next match of tennis because of it. Several of the Babolat racquets reviewed above are a testament to this increased range of options for players keen to get back on the court using a lighter tennis racquet.